Synonyms: FST, FS, Activin-binding protein. Formulation: Lyophilized from a concentrated (1mg / ml) solution containing no additives. Solubility: It is recommended to reconstitute the lyophilized Follistatin in sterile 18MÎ©-cm H2O not less than 100Î¼g / ml, which can then be further diluted to other aqueous solutions. Stability: Lyophilized Follistatin although stable at room temperature for 3 weeks. Purity: Greater than 95.0% as determined by (a) Analysis by RP-HPLC (b) Analysis by SDS-PAGE..
Follistatin-344 significantly increases growth and strength of muscles by blocking Myostatin (GDF-8 - a protein inhibiting muscle growth). Follistatin-344 seems to be a very promising Myostatin inhibitor, possessing a sufficient safety profile. Follistatin-344 is also a perfect choice for those sportsmen who cannot exercise on a regular basis any longer or for those who stopped exercising, but they still want to stay in shape, having a huge muscle mass. It has been proved, that the less strenuous muscle load and the less physical activity is, the higher concentration of Myostatin is reached. Follistatin-344 Follistatin (also known as activin-binding protein) is an autocrine glycoprotein encoded by the FST gene that is expressed in nearly all tissues. Its primary function in the body is bioneutralization of members of the TGF-Î² superfamily, with a particular focus on activin and paracrine hormones. Follistatin is a potent Moystatin inhibitor. An original Follistatin acted also as an activin inhibitor, which on the other hand stimulates the secretion of follicle-stimulating hormone - FSH (activin regulates the growth and differentiation of all cell types, including cells within sexual glands, pituitary gland and skeletal muscles). Therefore, scientists developed a particular Follistatin (Follisttain-344) that is derived from the original one and that is capable of blocking preferentially Moystatin activity. Follistatin-344 Recent animal studies, which were completed in 2009, have suggested that regulation of Follistatin on the genetic level may deliver significant outcomes in the increase of muscle mass and muscle strength. 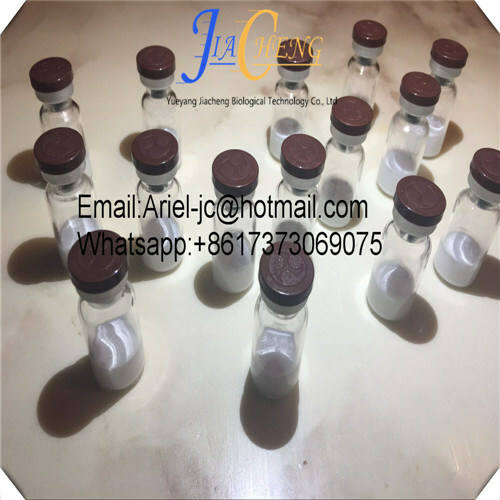 Consequently, from 2009 the product was introduced for the use with humans and there have been cases when daily injection of 100 mcg of Follistatin-344 led in individuals with body weight of 86 to 87 kg to muscle gain of approx. 5 kg over the period of 10 days. The Follistatin-344 peptide has also a substantial effect on the tissue rejuvenation. Its significant anti-aging effect is comparable to the one delivered by Melatonin or other peptides that play a positive role in the anti-aging process. The Follistatin production decreases with age, which on the other hand increases side effects of Myostatin. Besides the ability to inhibit the muscle growth, Myostatin can regenerate cells within the adipose tissue, as well. For regenerative processes the body starts to utilize its own endogenous proteins and amino acids and as a result, the final count of muscle fibres significantly decreases and keeps decreasing with age. This is the reason why elderly people become "overweight and obese" (they accumulate fat) and thus have a lack of muscle mass. Follistatin-344 significantly increases muscle growth and muscle strength (by blocking the Moystatin activity) - it promotes hyperplasia (growth of new muscle cells) as well as active hypertrophy (increase in cell size). Follistatin-344 should be taken in a dose of 100 to 200 mcg once per day, for the period of 10-20 days. Follistatin-344 is not intended for use by women. We guarantee you that we meets these points. Our customers are provided with the best service on internet: every order, big or small, gets personal attention from a highly qualified customer support specialist. 1. 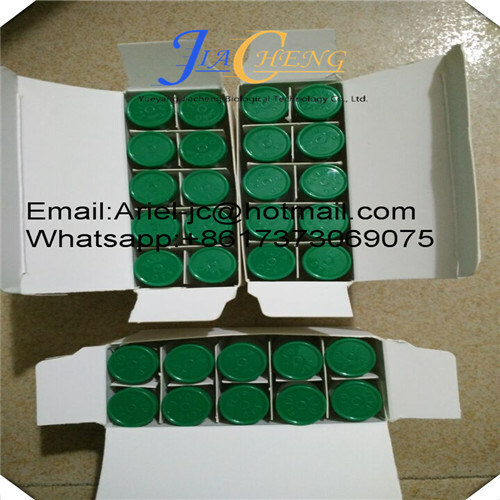 Quality : Our company is a professional production of hormone and peptides for 12 years, and we have got very good feedback from our customers, you can trust us. 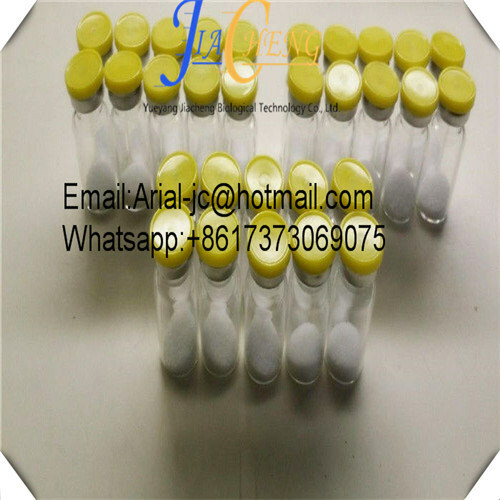 We are the manufacturer of all kinds of hormone powders. We focus on providing customers with high quality products, competitive price, best service and timely delivery. Price: Please let us know the quantity you required, because for small order and bulk purchase, the price will be difference. Payment methods: Western Union, MoneyGram We will supply the receiver's information or the bank account information for payment use. Shipping items: Shipping items will be delivered by international express like EMS, TNT, UPS, FedEx or DHL after receiving received. Every item will be shipped out in 2-3 working days after the payment is done. The product usually arrives in 1-4 days based on the different destination, and online track is provided. Please kindly supply the shipping address, contact and tel number for successful shipment. We are 100% confident of my shipment method, None of our previous packages has ever had any delivery issues. The noodles are a kind of fine facial hair, white and tough, and resistant to cooking and cooking. They are round and thin, and also wide and flat. The main varieties are ordinary noodles, flower noodles, handmade noodles, etc. The varieties are divided into egg noodles, tomato noodles, spinach noodles, carrot noodles, kelp noodles, lysine noodles and so on. At present, the noodles have formed a pattern of common development such as staple food, flavor, nutrition and health care. The noodles are one of the main pastas that people love because of their good taste, convenient consumption, low price and easy storage. The noodle is made by adding salt, alkali and water to the wheat flour and drying it to make a certain length of dry noodles. The noodles are made of refined flour, contain no preservatives and additives, and the noodles are made of refined flour. The reason why the noodles can be stored for a long time is because it has a process of drying and dehydration, no moisture, and the storage time is naturally long. However, the color of the abnormally empty noodles is not good. According to the quality supervision and inspection of the noodle products organized by the General Administration of Quality Supervision, Inspection and Quarantine, it is found that the white noodles are actually added with a whitening agent called benzoyl peroxide. According to the "Sanitary Standards for the Use of Food Additives", the content should not exceed 0.06g/kg, otherwise it will damage human health.